Of all things that went viral on the Internet this year, this stood out by far. Initially started in the United States to raise money for research on amyotrophic lateral sclerosis (ALS) — a progressive motor neuron disease that results in inevitable death — the challenge not only spread among millions of Americans and celebrities, but also around the world, including Malaysia and India. As a result of the throngs of people who participated in the challenge, an additional US$100 million (RM350 million) was donated to the ALS Association, £7 million (RM38 million) to the United Kingdom’s Motor Neurone Disease Association, and €1 million (RM4.27 million) to the ALS Foundation of the Netherlands, proving just how far-reaching the power of social media has become. 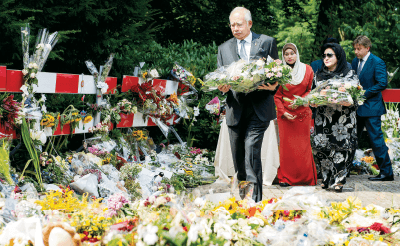 While Malaysians and the rest of the world were still reeling from the mystery of Malaysia Airlines flight MH370 and the tragedy of flight MH17, Prime Minister Datuk Seri Najib Razak stepped up to the plate and brokered a deal with the Ukrainian separatists to return the passengers’ bodies as well as the plane’s black boxes. This took place while world leaders — Brits, Americans, and other Europeans — were bickering about how to retrieve the bodies and black boxes without being embroiled in the conflict between Russia and Ukraine. It was a proud moment for us to see our leader achieve this, with so many countries watching. This is a difficult one. Although the suave actor’s marriage is widely regarded as a happy event, droves of girls and women lamented the fact that he was no longer an eligible bachelor. It was no surprise how much evidence there was for women to cry upon when Clooney and British-Lebanese lawyer Amal Alamuddin tied the knot in Venice, Italy in September. Paparazzi from all around the world followed the couple’s every move, resulting in dozens of pictures of the newlyweds being plastered all over the Internet and tabloids. In a city that is constantly shrouded in a thick, hazardous layer of smog, residents of Beijing, China enjoyed a rare treat during the Asia-Pacific Economic Cooperation (Apec) conference week in November this year. While the measures that China took to reduce the smog was unprecedented — factories were shut and driving was limited — the effect was so mesmerising that residents soon named the phenomenon “Apec Blue” in reference to the clear skies that they enjoyed for a week. When it was announced that Malala Yousafzai, survivor of an assassination attempt by the Taliban because of her efforts in championing education for children had won the Nobel Peace Prize, the world rejoiced. Then, people turned their attention to the fact that her co-winner was an Indian man, Kailash Satyarthi, who happened to be a children’s rights advocate. The relationship between Pakistan and India has been complex since the two countries split in 1947, so the fact that two nationals from each country now share a Nobel Prize is nothing short of incredible. While very few of us have probably heard of the name “Devon Still” since he’s famous for American football, some of us might have heard about the heartfelt story about how his team rallied behind him in order to save his daughter. In June 2014, Still’s daughter, Leah was diagnosed with stage four neuroblastoma (a cancer that forms in the nerve tissues). However, Still had been cut from the Cincinnati Bengals team just before his daughter’s expensive surgery. What did the team then do? They hired him back, sold Still’s jersey to raise awareness of paediatric cancer research, and then the entire team wore his jersey during a game with the New England Patriots to show their support. Selfies again! Or is it called “Groupfie” now? 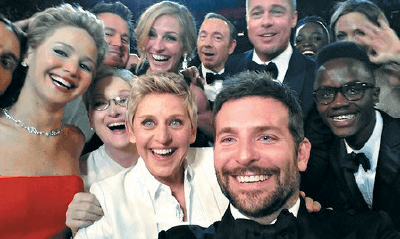 Anyway, at this year’s Academy Awards, host Ellen DeGeneres took a selfie with a host of Hollywood stars including Jennifer Lawrence, Meryl Streep, Bradley Cooper, Brad Pitt, Angelina Jolie and Kevin Spacey. The picture became the most retweeted photo ever, after over two million users shared the picture with their friends. After nine agonizing years of waiting for Ted Mosby to finally tell us viewers (and his kids) who “The Mother” is, we finally got closure on March 31. How I Met Your Mother started off with an intriguing premise: a father telling his kids the story of how he met their mother, interspersed with thousands of other plot lines, gags, jokes and events. After the years went by, the jokes started getting drier and drier, and fans were starting to get impatient. The show’s finale was and is still being hotly debated, with some fans feeling like the writers copped-out, while others agree that Mosby ended up with the right person in the end. Actress Emma Watson made her debut as a geeky, 10-year-old kid in Harry Potter and the Sorcerer’s Stone, and the world watched her grow into a beautiful, sophisticated young woman who graced many-a-magazine cover and was largely featured on Burberry billboards. Watson further inspired her legion of fans when she gave a thought-provoking, moving speech at the United Nations (UN) about gender equality and how UN Women is helping through their campaign, “HeForShe” in September. Feminism, which has come to be seen as “men hating” in recent years received a breath of fresh air through the UN goodwill ambassador’s unforgettable speech. This article first appeared in The Edge Financial Daily, on December 31, 2014.